World Cinema Paradise | Blu-ray Review Round-up: Films by Apichatpong Weerasethakul, Kelly Reichardt, Buster Keaton & more! 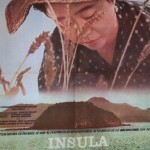 The Truthful Fakery of Kaneto Shindō: a Review of “The Naked Island” Blu-ray and DVD Review: Films by Alain Resnais, Jia Zhangke, Ken Russell & more! British label Second Run has removed just about the only obstacle to achieving peak reverence among cinephiles by making the jump to Blu-ray. Art house stalwarts are the beneficiaries of its first two Blu-ray releases, with Apichatpong Weerasethakul’s debut feature and the latest film from Pedro Costa getting the nod. Weerasethakul and Costa are pretty different filmmakers, but Mysterious Object at Noon and Horse Money could make a good double feature, as both films are intermittently dream-like excursions into a world where fiction and documentary blur together — or at least coexist side by side. 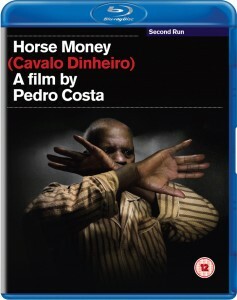 Costa’s Horse Money (2014) is a sort of epilogue to his Fontainhas trilogy. With the decaying tenement housing of those films now completely eradicated, Costa has moved on to the landscape of the mind of Ventura, the lead of trilogy-closing Colossal Youth (2006). Ventura’s stay in a labyrinthine hospital for a mysterious illness is mind-numbingly nightmarish, but there’s also not much solace to be found traversing his memories — some seem to be deeply personal; others seem to be collective remembrances of the displaced Cape Verdean people. Explicating Costa’s intentions or the numerous historical signifiers he employs is a challenge I’m not equipped for, but I can confidently say Horse Money is further confirmation of his daring brilliance when it comes to digital photography. Replicating the look of celluloid never seems to be his intention; instead he uses a bewitching confluence of light and shadow to create images that seem both mythic and hyper-real. 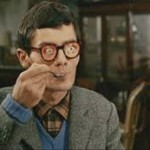 Like many shots in his earlier films, there are ones in Horse Money that sear themselves into your brain. 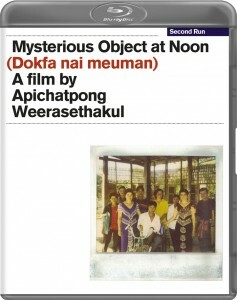 Apichatpong Weerasethakul’s Mysterious Object at Noon (2000) is a more playful kind of truth/fiction hybrid, and though its structure and “rules” are ostensibly clearer than in Costa’s flim, it’s also more baffling in its own way. The basic set-up is this: Weerasethakul and his crew are traversing across Thailand, shooting observational footage while asking each successive subject to tell the next chapter of a story about a woman and the wheelchair-bound boy she tutors. Eventually, the woman gives birth to the “mysterious object,” but the various storytellers — including those tasked with acting out the drama — can’t quite agree on just what emerges or its nature. Is the alien thing evil or kindly — or does it even matter? The film pushes and pulls between the magical and the quotidian, a tension that defines much of Weerasethakul’s subsequent work. 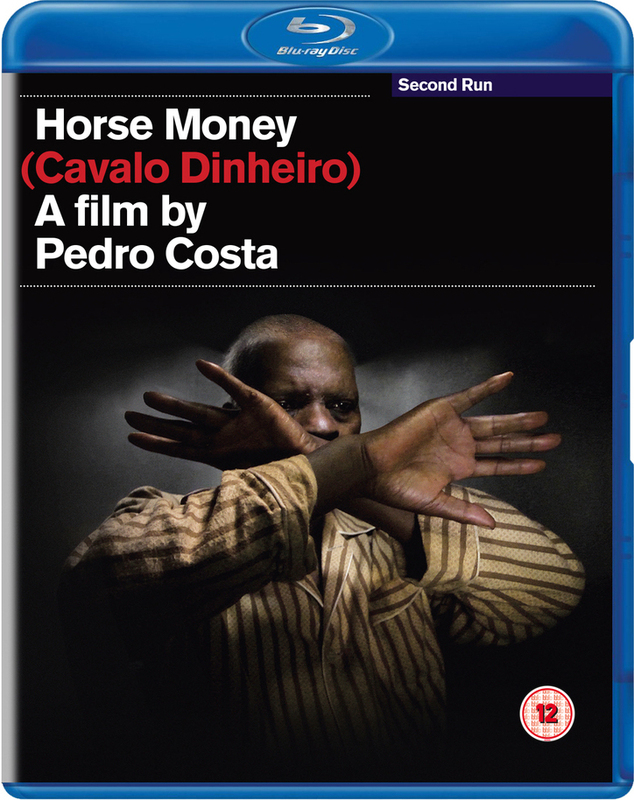 Horse Money is granted a 1.33:1 transfer in 1080i to accommodate the film’s 25 fps frame rate. 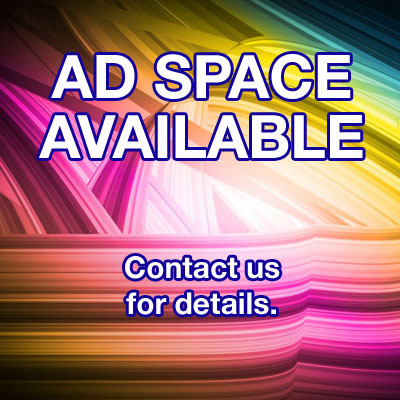 The transfer displays rich colors, deep blacks and a consistently sharp image. The clarity of the transfer is frequently striking. 5.1 DTS-HD Master Audio and 2.0 stereo LPCM soundtracks are included. 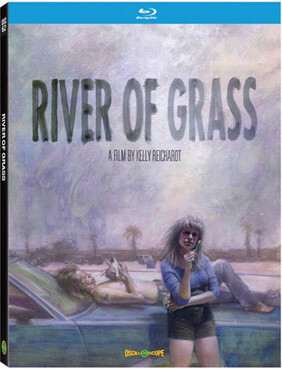 The region-free release boasts all of the extras of the US release from Cinema Guild and more. 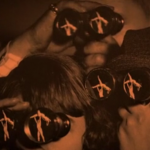 Costa’s 2010 short O nosso homem and Chris Fujiwara’s essay match the Cinema Guild release, and Second Run also includes an introduction from filmmaker Thom Andersen, who mostly focuses on the Jacob Riis photographs that open the film, and a conversation between Costa and Laura Mulvey. 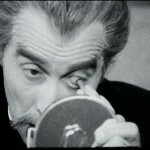 A selection of trailers and an additional essay from Jonathan Romney round out the bonus features. Mysterious Object at Noon has a more problematic transfer, though it all comes down to the poor condition of the surviving materials, detailed in the included booklet. 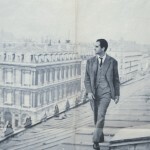 As it stands, the restoration from the Austrian Film Museum and the Film Foundation’s World Cinema Project represents a Herculean effort, sourced from a 35mm blow-up internegative of the original 16mm elements. That source featured burned-in English subtitles, and the resulting image appears as a 1.78:1 frame that’s been window-boxed on all sides, with subtitles extending below the image. Still, fine detail is plenty apparent and the image has some depth to it. Clean-up efforts were extraordinary, and the film’s fairly heavy grain structure is handled well. 5.1 DTS-HD and 2.0 LPCM options are also included here, both serviceable tracks with minimal noise issues. Extras include 2007 short film Nimit (Meteorites), a brief restoration featurette and a new interview with Weerasethakul. The great Tony Rayns offers an insightful essay in the booklet. 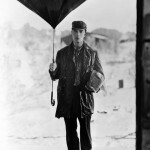 Kino’s line of Buster Keaton Blu-rays is largely exceptional, offering both his short films and features in impressive high-def presentations that mostly overcome their age and highly variable condition of the source elements. For the Region A (or just impatient) customer, Kino’s set is superb. 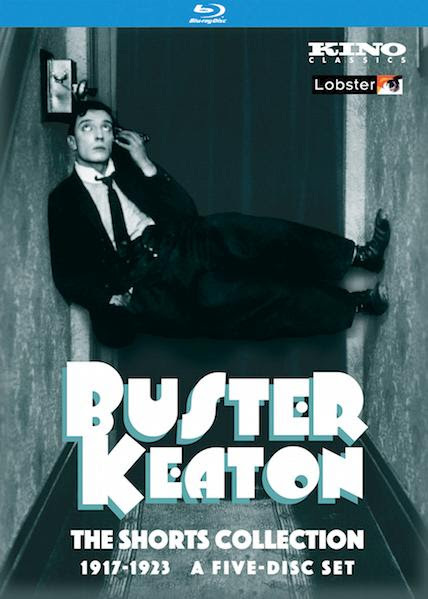 This version adds the 13 surviving shorts Keaton made with Fatty Arbuckle alongside the 19 solo shorts available in the previous release, and every film has been granted a 2K restoration courtesy of Lobster Films. 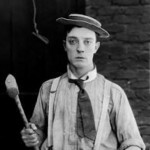 While the Arbuckle films, in which Keaton often plays multiple supporting roles, can be breathlessly entertaining, a sense of repetition sets in. Big setpieces escalate and escalate to their logical conclusion: utter chaos. Arbuckle’s jolly, indefatigable persona is endearing, but a little one-note. 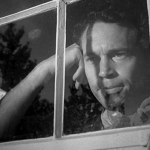 Once Keaton went solo, he grew in leaps and bounds as a filmmaker, honing his world-weary character and attempting more formally complex and physically daring setpieces. For more information about the individual films, you can check out my review of the previous release. By and large, the 1080p, 1.33:1 transfers represent a significant improvement over previously available versions. For the Arbuckle/Keaton films, these high-def presentations easily outclass those on the turn-of-the-millennium Kino DVD releases, many of which were tinted and all of which were badly damaged. 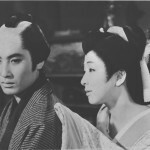 The condition of the elements here varies, with most of the films vacillating from faded and muddy to stunning clarity. Overall, damage has been greatly minimized and the images are stable and detailed. 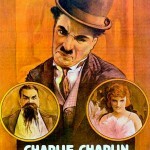 In their best moments, these nearly 100-year-old films barely show their age. For the solo shorts, the improvement over Kino’s previous Blu-ray is obviously less drastic than the improvement over 15-year-old DVDs. Still, this is a consistent upgrade across all 19 films, most apparent in improved levels of fine detail and image clarity. 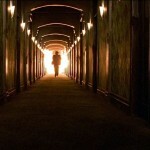 There are also fewer missing frames, and several films are presented in more complete versions. All of the scores are presented in LPCM 2.0 stereo. The set does take a bit of a step backward in regards to special features. Several of the alternate shots extras have been rendered unnecessary and there were some fairly superfluous excerpts of Keaton cameos, but the previous set’s extensive collection of visual essays on the films and their locations are missed. On the new set, we get an excised racist ending from “Coney Island,” a longer version of “The Blacksmith,” an alternate ending to “My Wife’s Relations,” and a brief excerpt from 1951 TV series “Life With Buster Keaton.” Film preservationist Serge Bromberg introduces a quick overview of the restoration process, while Jeffrey Vance offers an expanded version of his previous liner notes. Kino’s booklet here is quite detailed, listing the source materials for every film alongside critical essays and plot overviews. Besides their relative obscurity, both films also share the notable quality of being female-centric noirs, each with a magnetic lead performance of a character who might be relegated to the sidelines in a typical noir. 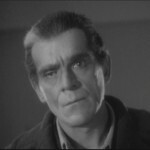 In Norman Foster’s Woman on the Run (1950), the ostensible protagonist is Frank Johnson (Ross Elliott), a man who witnesses a late-night murder while walking his dog, and narrowly avoids being the gunman’s second kill. But almost immediately after being questioned by police, Frank flees the scene, leaving his wife, Eleanor (Ann Sheridan), to wonder where he’s gone. Eleanor and Frank are almost to the point of being completely estranged, so his disappearance hardly feels consequential to her at first. But the mystery of his whereabouts and the prodding of a pesky journalist (Dennis O’Keefe) convince Eleanor to track him down in a scenic tour around San Francisco that steadily escalates the level of pulse-pounding thrills. At only 79 minutes, Woman on the Run feels elemental, stripped down to the basic components of noir and fashioned as a pure shot of adrenaline. 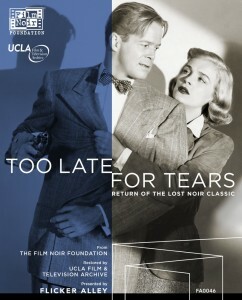 Too Late for Tears (1949), directed by Byron Haskin and written by Roy Huggins, is more instantly familiar, its casually sneering tone and the rhythms of its dialogue deeply indebted to Raymond Chandler. But this film inverts the formula, making the femme fatale the protagonist, a role played by a delightfully deranged Lizabeth Scott, whose base impulses seem to be irrevocably triggered by a sudden windfall. Scott’s Jane and her husband (Arthur Kennedy) are driving along, minding their own business, when a suitcase with $60,000 is mistakenly flung into their car. He doesn’t want anything to do with the obviously ill gotten gains, but she can’t help but imagine the possibilities. When the suitcase’s owner (Dan Duryea’s Danny Fuller) comes calling to collect, it seems apparent that Jane has stumbled way in over her head, but the power dynamics here are anything but stable. Scott’s performance blackens like a piece of fruit quickly turning rotten, peeling and twisting to continually reveal worse facets of herself. 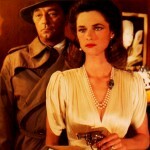 Duryea’s Philip Marlowe-like flippancy gets taught a lesson, the cockiness sweating off of him as he comes to see who Jane really is. 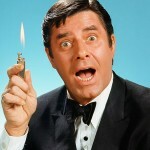 Even the wet blanket of Don DeFore, who stars as a requisite paragon of righteous, can’t quench the film’s black heart. Both 1080p, 1.33:1 Blu-ray transfers will be a revelation for anyone whose previous experiences were relegated to crappy public-domain DVDs. Woman on the Run is a little ragged around the edges, with a fair amount of speckling and marks, but the underlying image is nicely detailed and stable. Too Late for Tears frequently looks exceptional, full of dense, well-resolved grain and fine detail, though the look of the film is more soft than sharp. The uncompressed mono tracks fare similarly; Woman on the Run’s track has more wear, but both are fairly clean with no major drop-outs. 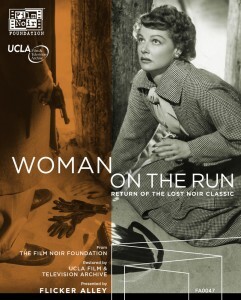 Extras for Woman on the Run include a commentary track from noir expert Eddie Muller, who also relates his own connection to the film’s preservation in the booklet essay. 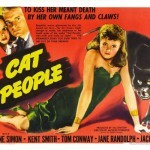 Featurettes on the film’s production, its restoration and locations are also included alongside a piece about San Francisco’s annual noir fest. 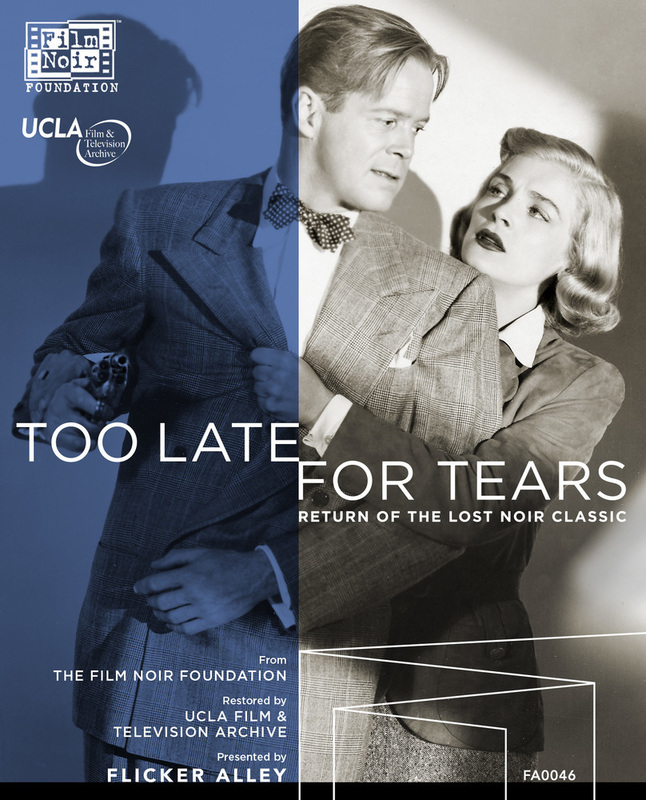 Too Late for Tears has a similar bonus slate, with an audio commentary from Alan K. Rode, featurettes on the making-of and the restoration, and a booklet with an essay by Brian Light. Basically undistributed and only available for years on an atrocious Wellspring DVD, River of Grass has received a Kickstarter-aided 2K restoration from Oscilloscope Laboratories and a gorgeous new Blu-ray release that perfectly renders the film’s hazy 16mm images of wide-open Florida skies and dead-end suburban landscapes. Reichardt’s upended film noir doesn’t closely resemble her later work; its offbeat, lanky humor is reminiscent of Hal Hartley and there are brief flashes of early Todd Haynes — it’s certainly in step with 1990s American independent film. But even though Reichardt established a much more unique voice later on, there’s an undeniably consistent vision and a sharp eye for striking compositions here. Lisa Bowman (who’s only acted sporadically since) stars as Cozy, a housewife so unconcerned with her husband and kids, they only register in the film as briefly visible images. At a bar, she meets Lee (filmmaker Larry Fessenden, who also edited the film), a layabout just charming enough to spark a hint of interest in Cozy. Together, they sneak into a backyard pool, but soon the homeowner has appeared, Lee’s gun has gone off and the pair takes off on the lam together. Scraping together a few bucks from selling stolen records, Lee and Cozy hole up in a cheap motel and make plans to maybe flee the state altogether. But inertia is a powerful force, and Reichardt’s script gets good mileage out of things not happening, the film’s genre shell drained of all its dramatic energy. Oscilloscope’s 1080p, 1.33:1 transfer could have the power to transport you back to 1994 Sundance, where you’re watching a brand-new print. 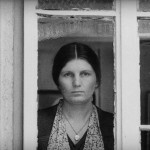 The film’s not-too-heavy grain structure is beautifully resolved, and the image possesses wonderful levels of clarity. 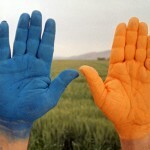 Colors are consistent, if muted, and damage has been almost completely eradicated. 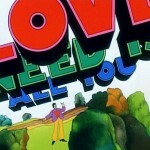 The lossless 2.0 mono track shows its age, but handles the dialogue and jazzy score just fine. Extras include a newly recorded commentary from Reichardt and Fessenden, and the loose, rambling vibe is a good fit for the material. The pair spends a good portion of the track ribbing each other or themselves about various production choices, most of them dimly remembered, making it an amiable, if not terribly informative listen. 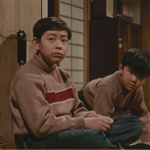 Also included is a brief restoration featurette and a trailer for the re-release. 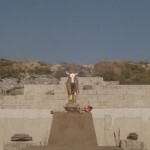 An essay by film writer and curator Giulia D’Agnolo Vallan rounds out the bonus material. 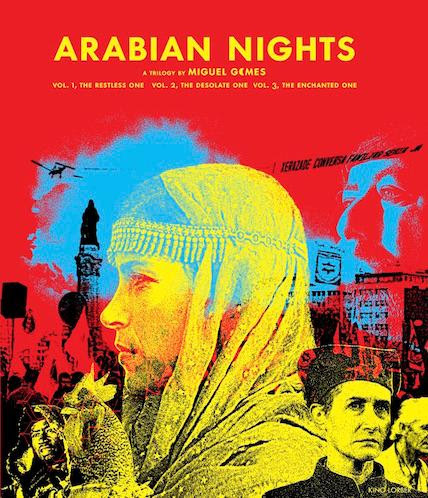 There’s something for almost everyone in Miguel Gomes’ Arabian Nights (2015), a sprawling, incredibly ambitious allegorical take on Portugal’s economic crisis and subsequent austerity measures. The problem is, that something is likely buried somewhere in the middle of a six-hour-plus meandering epic that sometimes seems perversely determined to do the opposite of what its framing device implies. The membrane between the magical and the mundane is pretty thin here, with a collection of stories that run the gamut and some that stay resolutely in one camp or the other. Early on, a rooster will provide some wry voiceover, while the series closes out with an extended, stubbornly un-magical take on the painstaking process of teaching chaffinches to sing competitively. One may hope for the birds to suddenly start speaking. For a viewer not intimately acquainted with the details of Portugal’s politics, there are certainly going to be missed cues, though some segments are so heavy-handed (“The Men with Hard-ons,” about corrupt government officials, for instance), it’s hard to mistake Gomes’ point. Others, like the story of an escaped murderer/local folk hero only coalesce after a patience-testing slow-cinema unfurling. Arabian Nights is generally visually stunning, but its ideas can seem spread a bit thin in times like these. In its best story, “The Owners of Dixie,” the film’s political and narrative concerns come together movingly, as a couple make plans for their beloved white fluffy dog after they’re no longer around. For much of its running time, Arabian Nights doesn’t feel worth the effort, but in retrospect, I find myself wanting to revisit some of the tales that I didn’t quite connect with at the time. Kino’s three-disc Blu-ray release features 1080p, 2.35:1 transfers for all three films, and each displays superb levels of detail, and deep, rich colors. A fair amount of speckling affects certain scenes, with more and more marks seeming to appear as the trilogy progresses. These don’t appear to be intentional defects, and they’re mostly minor, but it’s a bit odd. The 5.1 DTS-HD Master Audio tracks are dynamic and sharp throughout. Extras include a fairly substantial interview with Gomes from the 2015 New York Film Festival, his short film Redemption (2013), a trailer and a nice, hefty booklet with production notes and an essay by Dennis Lim.